Children love playgrounds. They are places where they can have fun in a safe environment. It’s an important part of growing up and especially in Israel where many children live under the threat of rockets being fired from Gaza. However there is a despicable new threat to Israel’s children that should be universally condemned. Watch this video which is a wake-up call to every parent. In it Israeli Prime Minister Benjamin Netanyahu talks about “a child’s toy turned into a weapon of terror.” You will be appalled by the plight of Israeli preschoolers who were nearly burnt alive as they played in their sandpit alongside a red slide. 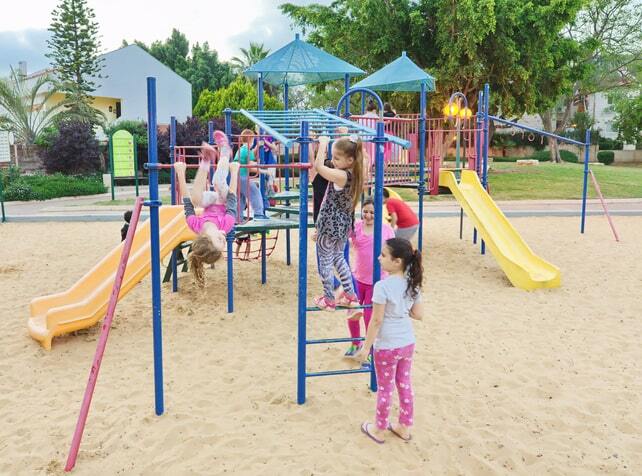 This touches the heart of all of us at GOD TV, especially since we have helped build playgrounds in Israel for disadvantaged children, in conjunction with Together For Israel. We want to see children in Israel able to play without threat. It is now several decades since 1.5 million Jewish children were exterminated in the Holocaust. Their frail bodies were disposed of in Nazi ovens and it is beyond belief that in this day and age that anyone could still want to burn Jewish kids, let alone alive.